Come and join us at Arley Hall for their annual garden festival. Lots to see & do. We hope to be able to get concessionary tickets to the festival, please indicate on booking form if you are interested in tickets. This is Cheshire’s biggest garden festival, which last year attracted over 6,000 people over the two days. It is the highlight of the year for Arley as they get to meet many people and share their enthusiasm for the gardens at Arley. 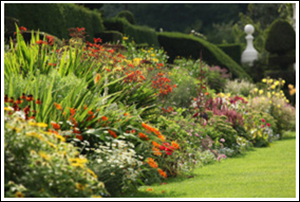 Arley’s award-winning gardens are among the finest in Europe. It is most famous for its herbaceous borders, thought to be the first example of its kind planted in England. 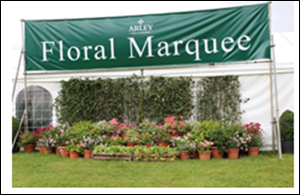 The festival is a chance to pick up a bargain or top gardening tips, while taking in Arley’s gardens. 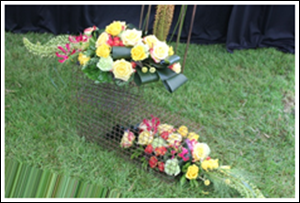 The festival includes a floral marquee, plant nurseries and display gardens as well as the Schools Gardening Challenge. There is a food fair, live music, stalls with horticultural accessories, and a craft marquee. There are also Garden tours some of them conducted by Lord Ashbrook himself. There is a gardener’s question time with an expert panel. There was also a Countryside Marquee in 2018. The entrance ticket to the festival also normally gives you free entrance to Arley Hall as well. The ticket will gain entrance to the show on either the Saturday or the Sunday; the show is normally open from 10 am to 5 pm, so plenty of time to wander around at your leisure even go back to your caravan for some lunch and go back again in the afternoon. Directions: M6 J19 – A556 Northwich/Chester turn right into Pickmere Lane at Windmill Pub. From Knutsford A556 sp M6 turn left at Windmill Pub. Follow signs for Arley Hall & CC RALLY signs.